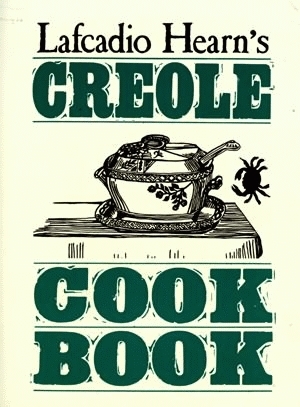 The first Creole cookbook ever written, Lafcadio Hearn’s Creole Cook Book is an intriguing look into the customs and habits of the Creole home of the 1870s and 80s. Lafcadio Hearn, a unique literary figure who through his writings captured the essence of the city of New Orleans, was a great connoisseur of food. A starving newspaper reporter with little means of support, Hearn began his connoisseurship out of a literal hunger for the cuisine of New Orleans. The result was La Cuisine Creole, a labor of love now reprinted as Lafcadio Hearn’s Creole Cook Book, that for the modern reader offers an unusual look into the food, customs, and everyday life of New Orleans Creole society. Spiced with drawings and writings from Hearn’s years in New Orleans and preserved in their original form, the recipes in this unique volume reflect the age in which they were created. Through his remarks on preparation, cooking, and storing, as well as hints on housecleaning, Hearn’s text offers a remarkable historic vision of life in the Creole household of yesteryear. Tempting recipes for “Orange Croquante,” “Maigre Shrimp Gombo for Lent,” “Mushroom Catsup,” “Pain Perdu,” and other noted New Orleans dishes are mixed with quaint, now forgotten housekeeping directions from his period-how to make yeast, boil soap, and prepare whitewash for the walls. This book is an attractive historical addition to any cookbook library and a long-lasting treasure trove of old New Orleans customs. Take two pounds of the lean part of very white veal, chop it very fine; add it to three dozen crayfish and a handful of green chervil; pound them together to thoroughly bruise the crayfish; then put the whole into a stewpan, and pour upon it three pints of cold spring water; add a little salt, and place the stewpan on the stove to boil. After half an hour, set it back on the stove, and let it simmer very gently for an hour, then strain. It should be taken fasting to insure its best effect.